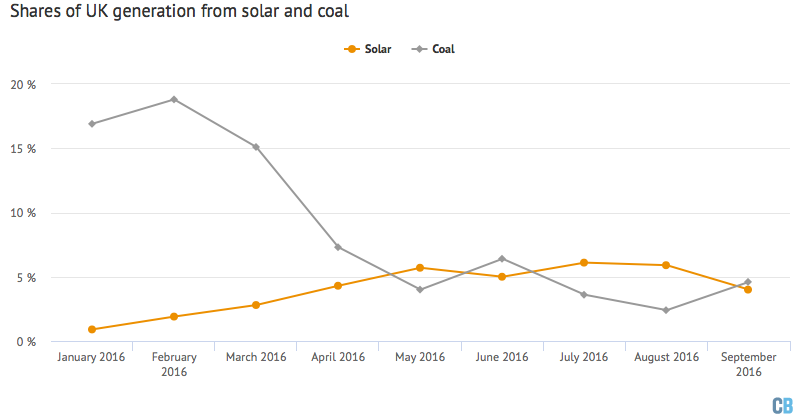 Data from Carbon Brief indicates that September marks the sixth consecutive month in which solar-powered electricity production eclipsed that of coal. Aided by shifting energy markets and a nearly worldwide trend of averting away from dirty coal, the British solar industry is manifesting into something significant. 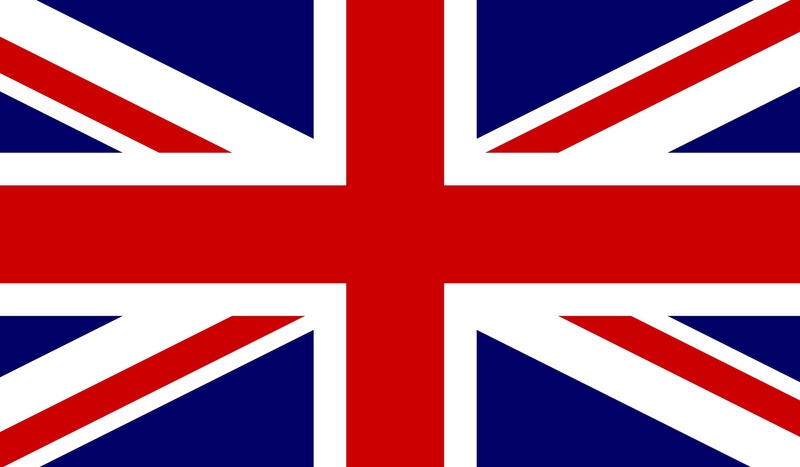 Between April and September (Q2 and Q3), the United Kingdom received 6,964 gigawatt hours (GWh) of electricity from solar panels, accounting for 5.2% of national demand. In comparison, during the same period, coal produced 6,342 GWh of electricity, representing 4.7% of demand. In fact, there were 10 consecutive weeks during which solar electricity exceeded coal-derived power. In 2016, solar capacity (the amount of energy capable of being generated by installed and operational solar panels) has nearly doubled the amount recorded at the beginning of 2015, from 6 gigawatts to around 12 gigawatts. Due to seasonal cycles, the UK experiences its strongest solar output during April through September, when nearly 3/4 of solar power is generated. Increased electricity demands and less daylight during the winter results in increased coal usage. However, forecasted expansions of domestic renewable energy as well as investigation into energy-storing technology both hope to continue to offset the UK’s reliance upon coal, year-round.